So many people are attracted to fields of lavender… those masses of brilliant, fragrant color that romance and soothe us. 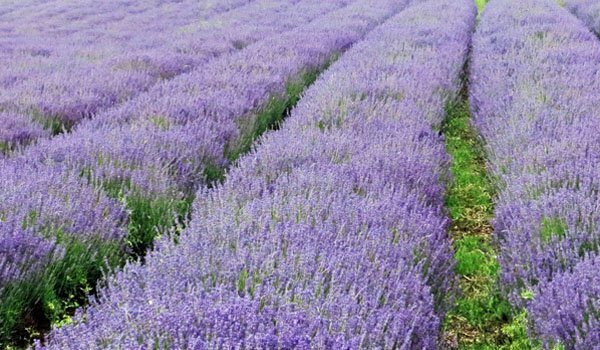 When most people think of lavender, they think of Provence and the sunny south of France. But although Charley and I spend a lot of time in Provence, the lavender in the photo above isn’t there! 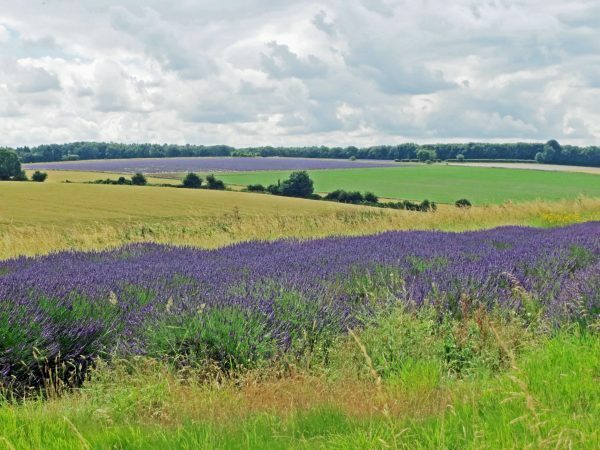 Many of our European Experiences travelers enjoy lavender with us in the beautiful and rural Cotswolds region of England. 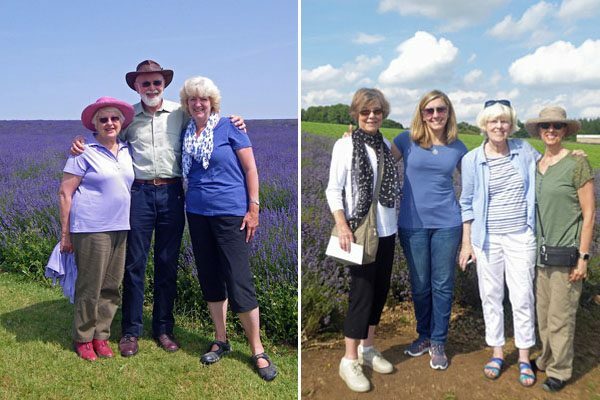 One of the most memorable experiences of our Cotswolds Experience week is our visit to the extensive lavender farm near Snowshill, just a few miles from our base village of Chipping Campden. My first encounter with the Cotswold lavender farm was almost 16 years ago. 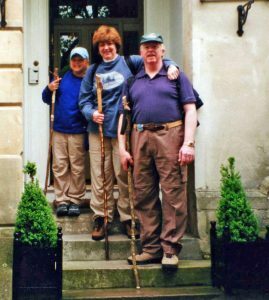 In early June 2002 our family returned to the Cotswolds to do a long-distance circular walk of 60 miles. Our route encompassed most of the area that’s now the focus of our Cotswolds Experience week. 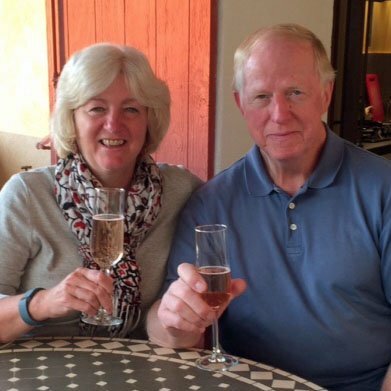 Our daughter Kelly was only eight and the walk was quite an adventure for this American family. On the third night of the walk, we stayed in the beautiful village of Broadway. The next day was a shorter day, a six mile walk to Chipping Campden, and she suggested we might enjoy a visit to Snowshill Manor, a museum of unusual collections assembled by an eccentric man named Charles Wade. Our innkeeper drove us a few miles up the steep hill to the manor, just adjacent to the charming village of Snowshill. After visiting the museum and gardens (which we’ll include in our new Return to the Cotswolds trip in 2019), the three of us walked along a rough one-lane road lined with stone walls, headed to the Broadway Tower and the Cotswold Way trail to Chipping Campden. It was an extremely isolated area… a flat plateau with a field or two of sheep, but mostly fields of crops as far as we could see. We had walked a mile with an eight-year-old and it was time for a break. We enjoyed tea, cake and scones… the only visitors… not a car in sight. The tea room was new and had just opened a few weeks before, the woman explained. She also told us that the lavender farm was a fairly-new venture, the first plantings made on an experimental basis in 1999. Nineteen years later, those few fields of young lavender plants at Hill Barn Farm that began as a sideline have grown to become the major enterprise of this third-generation family farm. Today at Cotswold Lavender there are 85 acres of lavender fields, 40 different varieties, 140 miles of rows, and over 500,000 plants in total. 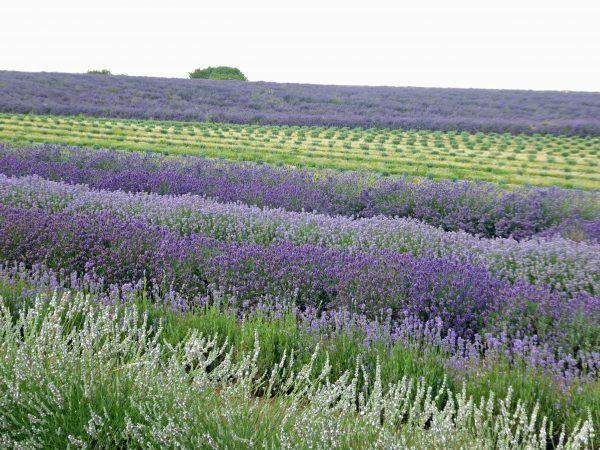 Lavender has flourished here in the free-draining Cotswold limestone soils. 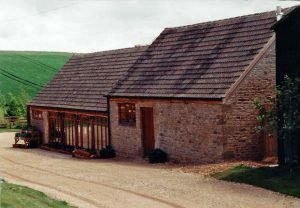 The farm’s location on the Cotswold escarpment, 1000 feet above sea level, provides ideal growing conditions for their top quality English Lavender essential oils. Each lavender bush lasts about 10 years, so there’s an ongoing replacement program. About 50,000 new plants are put in each year. 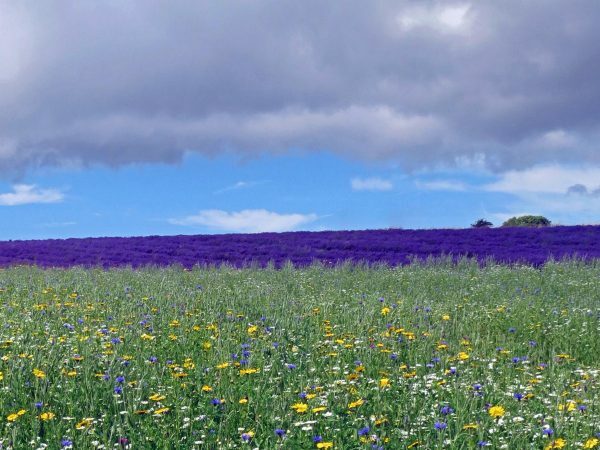 Primarily a working farm, Cotswold Lavender also now draws thousands of visitors each year during its eight weeks flowering season. In 2018 they will be open to the public from June 9th through August 5th. 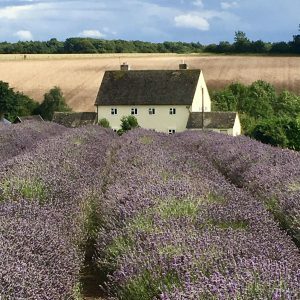 Our Cotswolds Experience groups are among the visitors each July, a magical experience for many in our groups who are drawn to the colors and fragrances of the lavender. It’s an incredible sight to see the fields of purple in every direction. We all love the lavender! I’ve been to the farm at least 15 times over the years and never tire of visiting and observing the subtle changes from year to year… or day to day based on the weather and the sky. Although lavender is now the main focus of the farm, some fields are still planted with arable crops (wheat and barley), which creates a beautiful patchwork of color in the countryside. And in 2016 the farm did experimental plantings of 60,000 camomile plants, a member of the daisy family. Although a new venture for them, this has also proved to be a very successful crop. Camomile is used in herbal medicine, teas, soaps and moisturizers, and is best known for treating insomnia and relieving stress. One section of the farm is open to the public for an admission fee. People can wander through several large areas of lavender on wide grassy paths. Some visitors recline between the rows or just savor the scene from a bench. Of course many people– like me– take photos. We’ve often seen people having wedding and engagement photos among the lavender, bringing along a professional photographer. Visitors can avoid the admission charge and snap a few photos from outside the fence, but it’s different experience to stroll through the fields… and definitely a fantastic photo opportunity. The public area also includes attractive wildflower beds that draw bees and other pollinators important to the lavender cultivation. 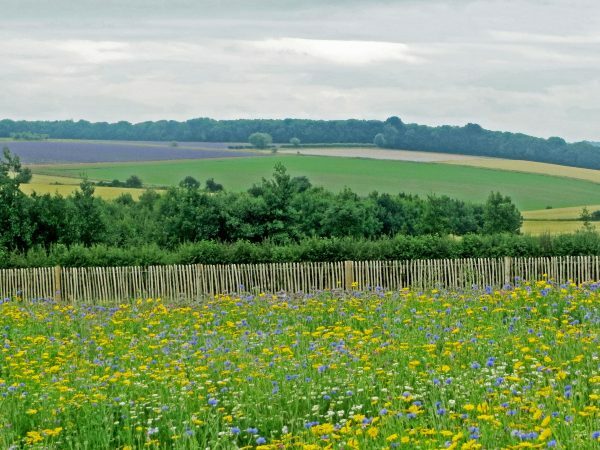 Wildflowers are also planted around the vast commercial fields. I love the contrast of the lavender with the wildflowers. 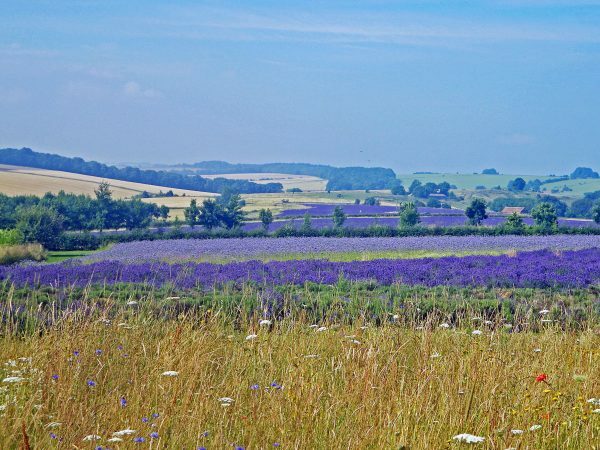 Three varieties of lavender are grown in the commercial fields, chosen for their high yields of oil and their suitability for conditions in the Cotswolds. The distillery is adjacent to the public fields and is often open so visitors can watch the activities. Harvesting usually starts in mid-July (depending on weather and the progress of the plants) and takes about two weeks. Plants are picked and cut by a special machine. Harvest is a very busy time of year at the farm; about five acres are cut and nine trailer-loads processed every day. Their products include essential oils, soaps, skincare and bath products, fragrances, candles, dried lavender, culinary lavender and more. The shop at the farm also sells other gifts with a lavender theme. In addition to traditional offerings and light lunches, the tea room menu includes some lavender items like lemon and lavender cake and lavender scones. When we wandered into the brand-new tea room in 2002, just three years after the first lavender was planted, we never dreamed that these fields would one day be awash with lavender… or that we’d return to the Cotswolds and this farm again and again. We’ll be back in the Cotswolds this July with two Cotswolds Experience groups. 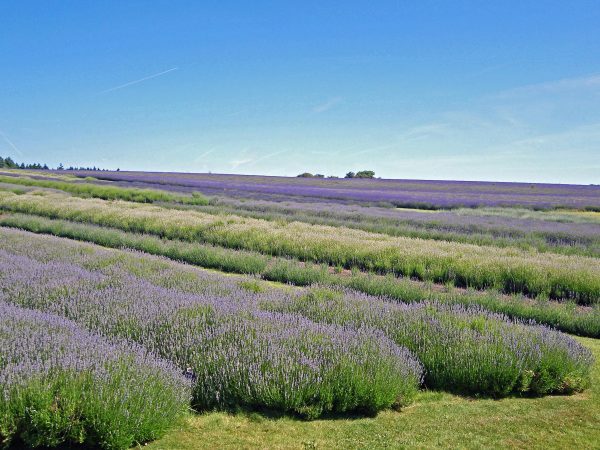 Our visit to the Cotswold Lavender farm is just one of many special experiences in this beautiful and historic rural area. We’d love to have you join us! Beautiful lavender-scented memories! Thank you so much.